Llámanos al 1-866-329-2694. ¡Te atendemos en español! With DishLATINO® HD Service, you can enjoy a wide variety of channels with superior picture quality. HD technology gives images more realistic and intense colors, and allows you to see images with greater detail. In addition to a crystal clear picture, you can also enjoy a superior audio experience with Dolby Digital 5.1 surround sound. DishLATINO® packages offer a variety of channels in high definition. Enjoy channels in HD such as beIN SPORTS and more, depending on the package you purchase. HD FREE for Life offer available with DishLATINO® Plus, Dos, and Max. All offers require a 24-month commitment and credit qualification. On top of relying on an HD TV to enjoy high definition programming, you also need receivers specifically designed to support this video quality. 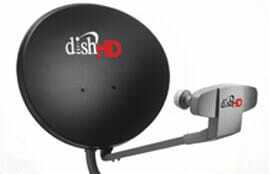 Luckily, DISH technology offers you the best DVRs in the industry. Improve your HD experience by pausing live TV and recording programs in HD.